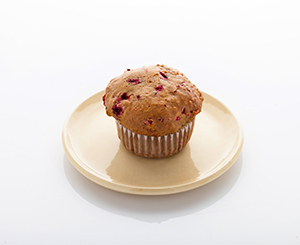 This amazing muffin is made with local cranberries, local blueberries and flax. They are extremely moist, dairy-free and sweetened mainly with unsweetened applesauce. 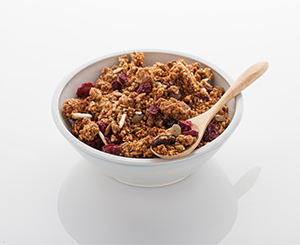 An easy and nutritious on-the-go snack boost to get you through your day. 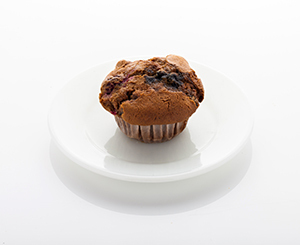 Ingredients: unsweetened applesauce, brown rice flour, tapioca starch, sorghum flour, organic cane sugar, eggs, canola oil, local cranberries, local blueberries, flax flour, vanilla and cinnamon. 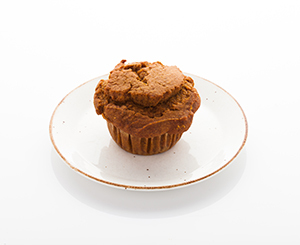 Free of: gluten, wheat, soy, corn, dairy, peanuts, sesame seeds, sulphites and preservatives. Allergy Alert: This product contains eggs and was cooked in a facility that uses tree nuts. Best kept in the fridge in a sealed container or bag for five days. They also freeze very well and can be kept in the freezer and taken out as needed. I love the Schoolhouse’s SuperNova Muffin. Bursting with berries, they’re super moist and the perfect snack.